The building regulations relating to site operations are contained in Part F of the NBR. Unlike many of the other parts of the Building Regulations, the legislated regulations (i.e. 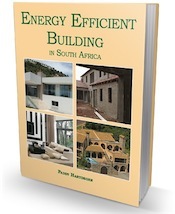 what is specified by the National Building Regulations and Building Standards Act), is considerably more detailed than the SABS Deemed to Satisfy Rules published with the regulations. The most significant changes to this section relates to Unstable Soil Conditions, a heading that has changed to Geotechnical Site and Environmental Conditions. Primarily, it is to ensure that the soil that we build on is not contaminated, and it is safe. Dolomite land in South Africa has proven to be particularly problematic, and this concern is reflected in this part of the building regulations. Interestingly, definitions of both contaminated land and dolomite land were included when the regulations were altered in 2008. This followed a comprehensive report by the Department of Public Works Appropriate Development of Infrastructure on Dolomite: Guidelines for Consultants that was published in August 2003. Contaminated land means any land that, due to substances contained within or under it, is in a condition that presents an unacceptable risk to the health and safety of occupants of buildings constructed on such land. c) 100 m in areas underlain by dolomite where de-watering has taken place or where the local authority has no jurisdiction or control over ground water levels. This section relates to the erection of fencing, hoarding or barricades that the local authority might require to protect the public from accessing a building site. If required, this must be safe (in keeping with the local authority’s requirements), and may not be removed without their approval in writing. There are also regulations that relate to both erection and demolition activities on site. For instance builders may not encroach on adjacent land or on public space. If a local authority believes that demolition or erection activities MIGHT affect local authority property adversely, it has the legal right to call for a deposit (or some other sort of security) that may be used to repair any damage caused. Previously “Unstable Soil Conditions”, this section of the legislation has been substantial changed and is a lot longer than it used to be. Previously the local authority simply had to inform anyone applying to build on suspect land that there might be a problem – specifically if it had reason to believe there might be “unstable subsoils or unstable slopes in the area in which a site, upon which a building is to be erected, is situated”. Clearly this was too vague. it must inform the person applying to build of the probable situation. If the person applying to build IS aware of the fact that the land is either contaminated or potentially unstable, they are bound to “appoint an approved competent person to undertake an appropriate goetechnical site investigation”. The definition of “competent person” also changed when the legislation was updated in 2008. Previously the term meant “a person who is qualified by virtue of his experience and training”. Now it means “a person who is qualified by virtue of his education, training, experience and contextual knowledge to make a determination regarding the performance of a building or part thereof in relation to a functional regulation or to undertake such duties as may be assigned to him in terms of these regulations. the magnitude of any potential and differential movements that the building (or part of it) might be subjected to. Any geotechnical investigations should be conducted in accordance with the requirements of SANS 10400 Part B: Structural Design (in the case of dolomite lands) and Part H: Foundations. Before any foundations may be laid, the area where the building is to be constructed must be properly cleared of all vegetable matter including tree stumps, timber and other cellulose material, as well as debris, refuse and any contaminated materials. If the site is waterlogged, seasonally waterlogged (in other words not necessarily waterlogged all the time) or saturated with water, or where any building will be situated so that water will drain naturally towards it, drainage must be provided so that the water is directed away from the site or building to a storm water drain, or disposed of in another “safe approved manner”. The section was also expanded in 2008, and a reference to termites included. Essentially the regulations now insist on protection from subterranean termite activity if the local authority deems this to be necessary (which would be in areas of high termite infestation). Treatment must be in accordance with SANS 10124. Owners of land where excavation work is in progress, or where a building is being demolished or erected, must take precautions to limit the amount of dust that makes its way to surrounding roads and footways to a “reasonable level”. Anyone involved in demolition, excavation and building work has to take care not to “unreasonably disturb or interfere with the amenity of the neighborhood”. Specifically there are times that they may not use any machine, machinery, engine, apparatus, tool or contrivance that is noisy or makes a lot of dust. Before 6 am and after 6 pm any day of the week. Before 6 am or after 5 pm on a Saturday. On Sundays or public holidays. Previously the legislation only applied to a handful of public holidays: Good Friday, Ascension Day, Day of the Vow, Christmas and New Years Day. the work has been authorized by the local authority. This all-important section of the National Building Regulations specifies when a local authority can demand that building stops or a structure must be demolished. insist that tests are carried out. If tests have to be demanded, then the owner is obliged to supply a written report to the council that states (amongst other things) what was used for testing, who did the test, and what the results of the test were. If the officials are not satisfied, they may take further steps in terms of the regulations – possibly to insist on demolition. If owners of building sites allow excessive rubble, rubbish and other debris – or combustible waste material – to accumulate, they can expect to receive written notice to have it removed within a certain period. If they don’t comply, they will be regarded as being “guilty of an offence” and the local authority then has then right to remove the materials and make them pay the bill. This is essentially the same regulation that applies to waste material, only here the regulations refer to “surplus material and matter” that has accumulated on site, or on adjoining land or a public street. Builder’s sheds are legal on building sites as long as they are properly maintained and only used for building purposes. When building ceases, the shed has to be removed. You can’t for instance, decide to keep the shed and use it for your garden tools. 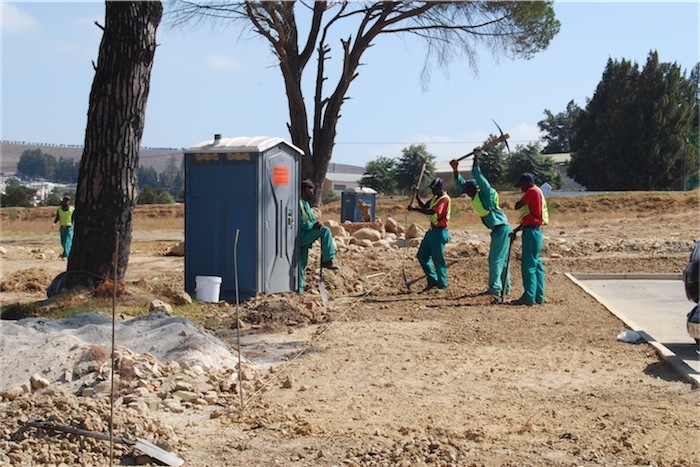 It is against the law to do any demolition or construction work if there are no approved sanitary facilities for workers and other personnel. If sanitary facilities are not provided, the local authority can halt the building process. noisy residential building site in Fresnaye are they allowed to build on a public holiday. No they aren’t! If you read the page on site operations you will see this. I am Estate Manager of a residential estate and contractors have commenced construction of a site neighbouring our estate. Is it a building regulation that they erect shade cloth around their site? It’s becoming a problem due to the dust levels, as well as the fact that their contractors can see directly onto our Estate and into the homes on our fenceline. I live next door to a high school in Hout Bay where they have been replacing the roof since November last year, working mainly on weekends so as not to disturb the students. It has been very disruptive for me because of the noise. This past two weeks, during holidays, the builders have been arriving after 3.00 in the afternoons and they hammer and grind until 8.00 at night! I feel like I am losing my mind! I went over and they told me they are working on a deadline, which is what they said in January, after the holidays and the weekend work started. SANS 10400-F, Site Operations states very clearly when building operations, machines etc may be done/used. If they don’t stick to the times specified they are breaking the law and you should report them, in writing to the local authority.